Valentine’s Day Honey Sampler includes 4 glass hex jars filled with blackberry honey, orange blossom honey, Florida holly honey and Wild Florida Honey. 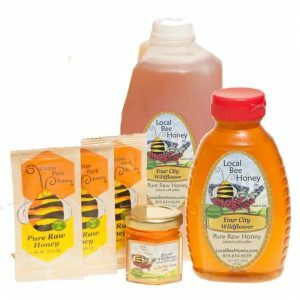 Pure raw honey made by USA bees and bottled by hand. 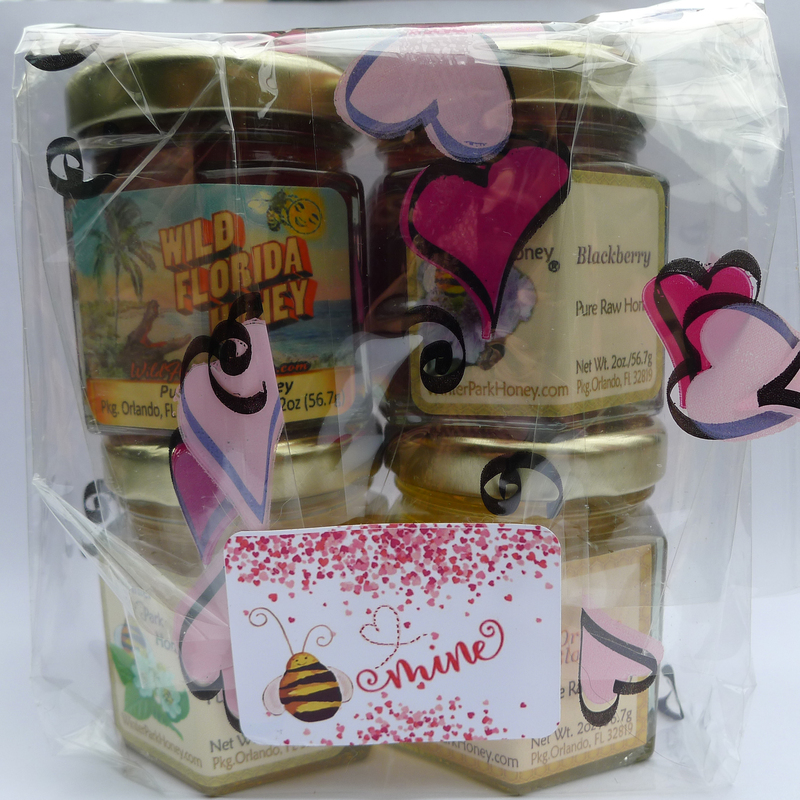 Valentine’s Day is almost here. 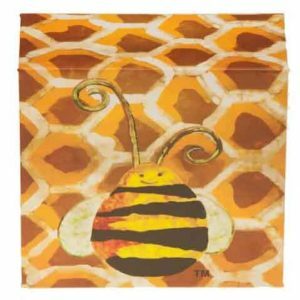 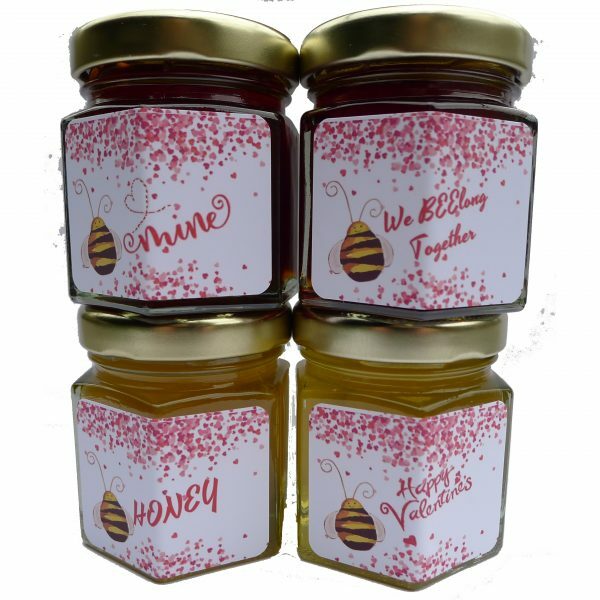 Give the timeless gift of honey. 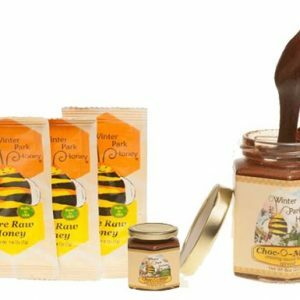 It’ll last a million years! 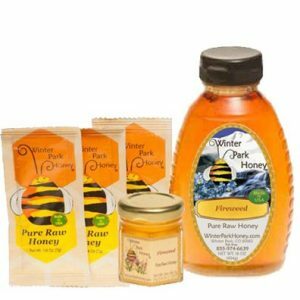 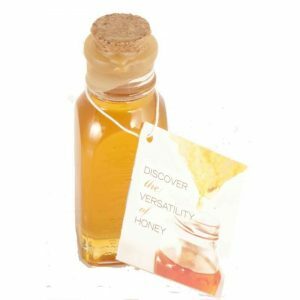 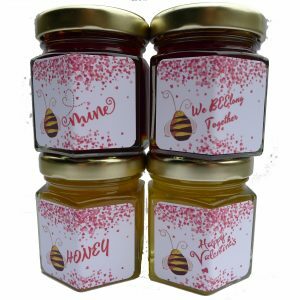 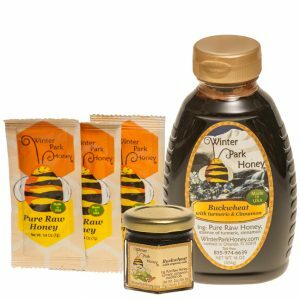 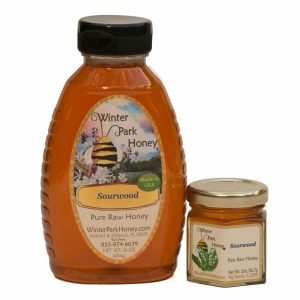 This special Valentine’s Day Honey Special includes 4 2oz jars of our gourmet honey: blackberry honey, orange blossom honey, florida holly honey and Wild Florida Honey. 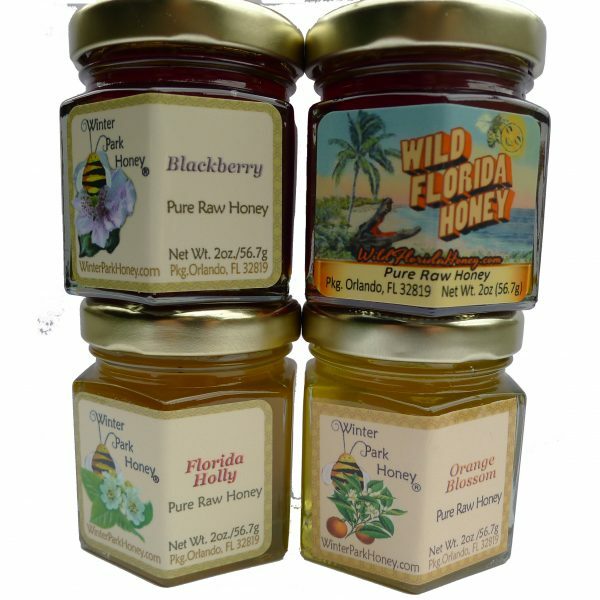 These honeys are all made in U.S.A. by U.S. honeybees and bottled by hand to guarantee quality. And it’s already gift wrapped in our special bag of hearts. 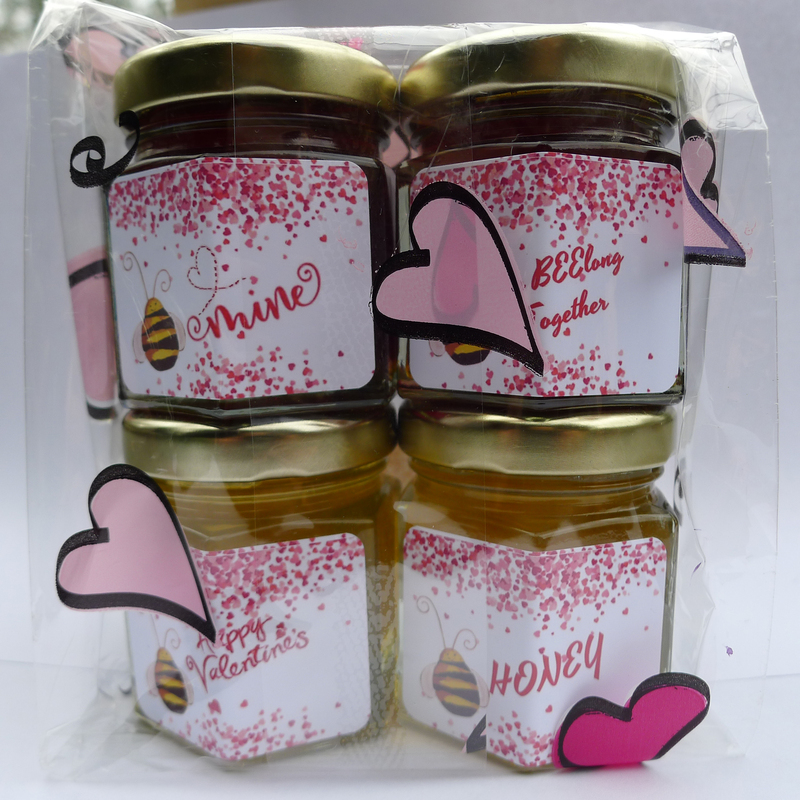 The labels on the jars read “Bee Mine”, “Happy Valentine’s”, “We Bee Long Together” and “Honey”.